When Mark Bialczak included my name in a list of very inspiring bloggers, I about keeled over. First, Mark inspires me across the board as a blogger. As a seasoned journalist, his writing skills are extraordinary. As a family and community man, his topics are personal and real. As a friend, there is none finer at staying in touch, overlooking grammatical errors, and cheering all onto victory. That’s a lot of awesomeness to measure up to. My mom (1) thinks deeply about most everything – (2) education, (3) relationships, (4) the DBacks’ coaching decisions. Movies she can quote line for line include (5) Planes, Trains and Automobiles and Napoleon Dynamite. Speaking of line for line, (6) when out grocery shopping with her she will most definitely sing along to whatever is playing on the speakers with gusto. Her humor is strongly in the (7) Irish funeral humor category, with a favorite line being “Well, all that’s left is death and disintegration” said with a big grin. So there you have it; the Angie Mc is out of the bag. Vanessence is crafted by Ness, who shines with humor, wit, and compassion. My favorite part is her comments, especially those connected to her husband Dane. See next. En*Dane*gered writes relatable job posts and is an unabashed family man. Again, check out his endearing comments to his love. LindaGHill is a writer, community builder, and mother extraordinaire. Posts that showcase her relationship with her sweet son are among my favorite. Sheri de Grom writes tirelessly for those in need, especially for those with mental health concerns, veterans and their families. Posts that include her husband, Tom, are worth a search there. Syl65’s Blog is full of poetic words, beautiful images, and hopeful tenacity. Can you dig it? Sylvester can. Jubilee Journey shares Ana’s faith, family, and photographs with transparency and joy. La Audacia de Aquiles showers love so abundantly that I visit Aquileana’s blog to absorb it, along with greek mythology. Check out her community and bask. The Invictus Soul has a youthful zeal for life. Khushboo Arora’s sharings are uplifting and positively contagious. InTheLifeWithAyo is action packed fitness, photos, and fun. Ayo is always on the move. Maggie May’s DIY ideas for everyday make a home charming, family life loving, and a craft-impaired gal like me, hopeful. nebusresearch may be my most far-flung favorite blog. Joseph manages to interest me in my nemesis, math. He does this through a science of relations in which he relates his passion for math and comics and other interesting details. Paul Militaru shares more beautiful photos than anyone I know. I sometimes drop by his place just to fill my heart with flowers. writerinsoul is thought-provoking and flat-out enjoyable. Colette grasps human nature with great wit and writing. Behind the White Coat shows just how much more one can do. Victo Dolore’s experiences as a doctor, mother, etc. add up to insights so well-written and humane, I can’t help but engage. Morpethroad is a still water that runs deep. Michael writes with a well-earned ease and he is generous with his experienced insight. vanbytheriver has lived life well and has made fascinating connections. Van’s stories take me back and keep me present all at the same time. • Thank and link to the person who nominated you. • List the rules and display the award. • Nominate 15 other blogs you enjoy, then comment on their posts to let them know that you have nominated them. 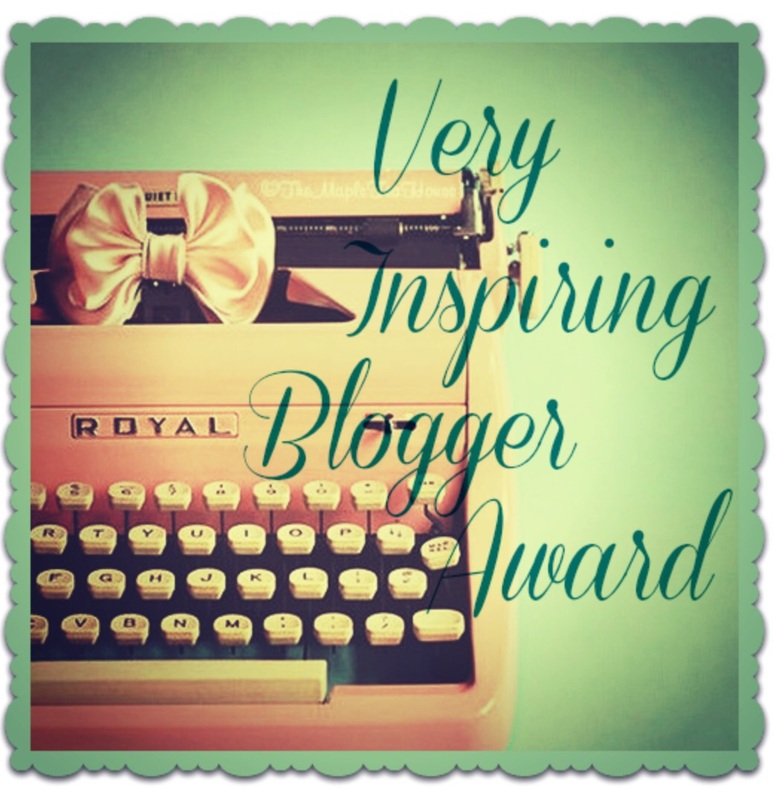 And here are my rules which can be summarized, “When I nominate a blogger for an award, please know that it is given freely as a gift and as a gesture of gratitude.” I have had fun with this one and hope you will, too. Mark Bialczak, congratulations on your well-earned award. If I were to place you in one of the above groups, it would be More. Your work ethic and sheer power inspire me to place myself in the blogging arena and battle well. To the victors, go the Irish soda bread, golumpki, and a nice cold beer. This entry was posted in Community, Friends, Lifestyle, Relationships, Social Media and tagged Awards, Blog, Bloggers, Inspiring. Bookmark the permalink. Woohoo for you! Well deserved, of course. I am humbled that you saw for to nominate me. Thank you! Oh I’m so glad! Well earned on your part, clearly. Keep up all of your great work and have a terrific rest of the weekend. Hi Angie, I read your post thinking you come across with great humility. Then I saw you included my blog in your list and that has humbled me. I am so pleased you enjoy my posts. Thank you. Michael, you’re a gem! I do enjoy your posts and am so happy that you can see me as humble, or at least having humble moments 😀 Oh my, yes, this life brings me to my knees…in a good way. Hope your week gets off to a great start and you are most welcome. Thanks so much; I love how you describe my blog! You know I dig your being nominated ❤ Appreciate you beyond words 🙂 Thank you for mentioning my blog. You are a generous friend and I so appreciate you, Aquileana! You are very welcome. Why thank you very much, June! I look forward to hopping over to your place and I am eager to accept this award at the end of the month. Angi – You are indeed a stellar blogger and I enjoy visiting your ‘house’ as often as possible. I’ve been [away] so much the past 3 weeks dealing with Tom’s medical problems and helping a couple friends with VA Claims Processing – it seems my brain cells are used up by the end of very long days and there’s minimal left over for blogging. You always deserve your awards and go above and beyond. You can count on me to search your list for fellow bloggers to connect with. Thank you so much for thinking of me. You’ve put this together so well Angie! Love it! Oh congratulations on your blogging award. Those are always fun.